The Tax Cut and Jobs Act enacted by Congress at the end of calendar year 2017, will most likely affect your donors’ charitable income tax deductions when they file 2018 taxes. Estimates are that only 5% of donors will be able to itemize and claim a charitable income tax deduction. What can you do now before the end of the calendar year that might help both your donors and your organization? What can you plan to implement in calendar year 2019? Plan to attend for a quick overview of what changed regarding taxes; what didn’t; what upcoming legislation to follow; and what you might do to enhance donor opportunities to continue giving to you. 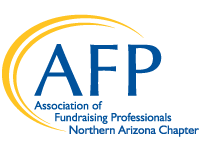 Judi Smith, MA, CFRE, is Senior Director of Planned Giving for Arizona Community Foundation. In that role she directs the Arizona Endowment Building Institute and works with nonprofits across the state as they consider their asset building strategies.